CES 2010 | HP’s TouchSmart tm2 a good much for iSlate ? Up unto this moment iSlate is still a myth, there is no official announcement about the Apple Tablet, but good to inform you that HP has already HP has been making a 12-inch consumer tablet for several years. The TouchSmart tm2, is one of the only convertible tablet laptops aimed to different busy people. HP TouchSmart tm2 Specification : It has a standard Intel Core 2 Duo CPU, optional discrete ATI graphics, and Windows 7 not unless we could see the rumored iSlate we could not have a good comparison of the two. The HP TouchSmart tm2 will be available January 7, starting at $949. 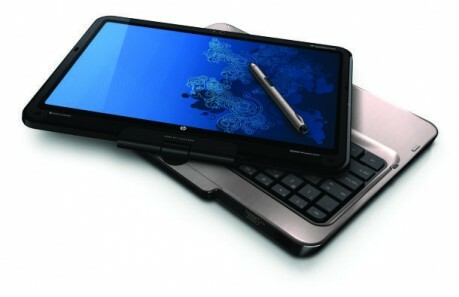 I’m planning to buy the HP TouchSmart TM2. Intel Dual Core is pretty good for me (atleast it’s not amd) I’m 15, a full time student. Is this laptop worth it? I hope it is. How much does it cost in the ph? Where can I buy it? Thanks.